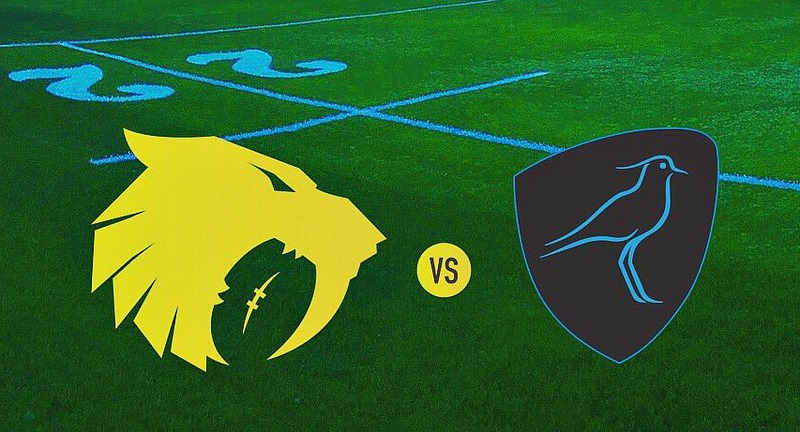 In their third and arguably toughest pre-season fixture, the Houston SaberCats played a great match against the Uruguayan national rugby team. Los Teros were in Houston for a warm up match as they get ready for a two-leg World Cup qualifying series against Canada. Santiago Arata got on the board first for Los Teros with a converted penalty kick. Arata then added a try and conversion after a nice set of play from Uruguay. Malacchi Esdale got the SaberCats on the board with a great try. Esdale caught a cross field kick from Sam Windsor and dotted down for the try. Zach Pangelinan added the conversion for the SaberCats. Arata added another penalty kick just before the half to make it 20-14 Los Teros. This half was physical. Both teams were making hard tackles. Uruguay's strength is in their forward pack, but Houston was able to hold their own in the scrum. Manuel Leindekar got the scoring started in the second half. Los Teros had an overload, Nicolás Freitas made a big run, and Leindekar was there to clean up for the try. Rodrigo Silva took over kicking duties and kicked the conversion. Pangelinan converted a penalty kick to get the SaberCats on the board in the second half. Diego Magno was next over the try line for Uruguay. Leandro Leivas broke through the SaberCats line and offloaded to Magno for the try. Silva missed the conversion. Uruguay was up 32-17 at this point. Both teams battled back and forth for the next half hour of game time. Both Houston and Uruguay had multiple chances to score, but either mental mistakes or great defense prevented either team from scoring. The humidity seem to be taking a toll on both team as multiple players went down with cramps. 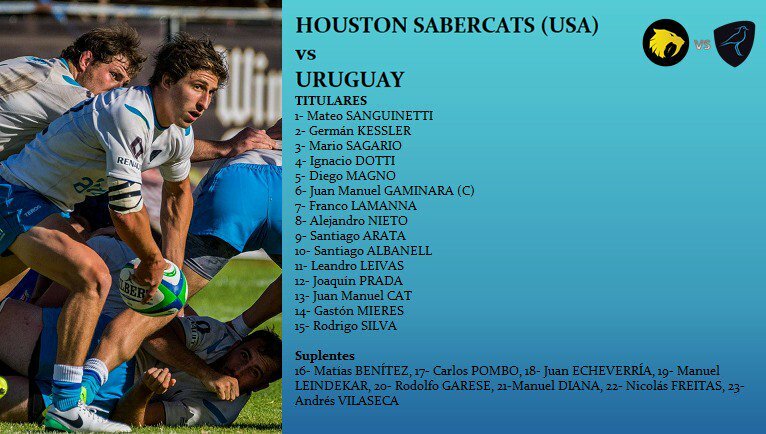 The mental mistakes cost both sides as Jack Riley for Houston and Diego Magno for Uruguay each received a yellow card for high tackles. Houston had a final chance to score and Lindsey Stevens got over the try line to dot down for the SaberCats. Pangelinan added the conversion to make the final score 32-24 Uruguay. Houston has no reason to hang their heads after this match. They hung tough with the 18th ranked rugby team in the world. There are some mental errors that need fixing, but other then that the SaberCats had a great match. Houston takes on James Bay Athletic Club next week. Uruguay got a tough test for a warm up. The SaberCats brought their best. Uruguay has some things to work on before they take on Canada in World Cup qualification.